Expect another flurry of channel-relevant M&A deals in 2019. There were plenty of evident trends in the channel in 2018 — the rise of the MSSP, for example, or the growth of cloud-focused MSPs helping customers navigate their moves to AWS, Azure, and other platforms. One of the biggest ongoing stories last year in the channel—and one that’s poised to continue apace in 2019—can be summarized in a couple of letters: M and A. As in: mergers and acquisitions, or M&A. There were scores of them last year, both among partners themselves and in the vendor and supplier world too. Some M&A activity is just about always par for the course in the business world, but 2018 was a banner year for deals: The Wall Street Journal recently reported that 2018 appears set to become the third-busiest year ever for M&A activity. Both the channel and the tech sector at large were especially active on the deal-making front. Forrester analyst Jay McBain, who extensively covers the channel, notes that M&A activity was strong in what he refers to as the channel software stack, with 14 percent of companies listed there acquired in the previous year. There was also plenty of activity among partners themselves, with the MSP consolidation trend moving full-steam ahead. The reasons are plenty, but they boil down to a “simple” factor: money. Margins are shrinking for many MSPs, and McBain notes that it’s challenging for the vast majority of MSPs to scale past the 10-employee mark without joining forces with other firms. Some of them also lack the sales and marketing chops necessary to go from a small shop to become a much larger concern. Meanwhile, private equity firms flush with cash are lasered in on the segment, as well as the broader channel and technology industries, as ripe for investments and M&A deals. 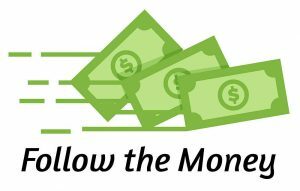 Welcome to “Follow the Money,” our new column that will keep tabs on M&A activity in the channel. Barring a total economic meltdown (in which case we’ll have a whole other set of stories to pursue), it’s almost certain to continue to be busy in 2019. McBain says that while the economics of the channel may be shifting, there’s still plenty of opportunity. A key force behind the scenes: Private-equity and venture-capital firms are pumping considerable dollars into the industry, in part because of the widespread fever pitch around digital disruption and transformation. M&A activity is up, private equity firms are throwing their weight around in the channel, and markets are on a roller-coaster ride. You need to Follow the Money. We’re here to help. Oracle says the company's future rests on cloud apps and infrastructure.